Each year are hundreds of stories being told during the planning and anticipation of the NFL Draft; the 2017 NFL Draft is no different. 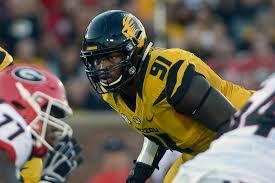 Today we will be looking at a scouting report for senior outside linebacker Devonte’ Fields, Louisville Cardinals. OLB-Devonte’ Fields, Louisville 6’2” 236 lbs. There are hundreds of stories being told during the planning and anticipation of the 2017 NFL Draft. Today we will be looking at a scouting report for junior defensive end/outside linebacker Derek Rivers, Youngstown State Penguins. 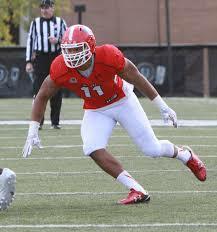 DE/OLB-Derek Rivers, Youngstown State 6’4” 250 lbs. DE/OLB-DeMarcus Walker-Good defender, but where? Comments Off on DE/OLB-DeMarcus Walker-Good defender, but where? There are hundreds of stories being told during the planning and anticipation of the 2017 NFL Draft. 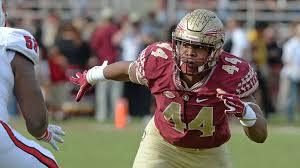 Today we will be looking at a scouting report for senior edge defender DeMarcus Walker, Florida State Seminoles. DE/OLB-DeMarcus Walker, Florida State 6’4” 280 lbs. Jabrill Peppers-Where does he fit? Comments Off on Jabrill Peppers-Where does he fit? There are hundreds of stories being told during the planning and anticipation of the 2017 NFL Draft. Today we will be looking at a scouting report for redshirt sophomore defender/playmaker Jabrill Peppers, Michigan Wolverines. DEF/ATH-Jabrill Peppers, Michigan 5’11” 213 lbs. Each year there are hundreds of stories being told during the planning and anticipation of the NFL Draft; the 2017 Draft is no different. 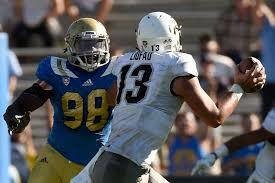 Today we will be looking at a scouting report for senior edge rusher Takkarist McKinley, UCLA Bruins. 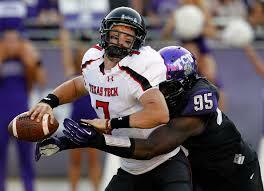 DE/OLB-Takkarist McKinley, UCLA 6’2” 250 lbs.